For updated answers to these questions, see our post What makes a book a bestseller? 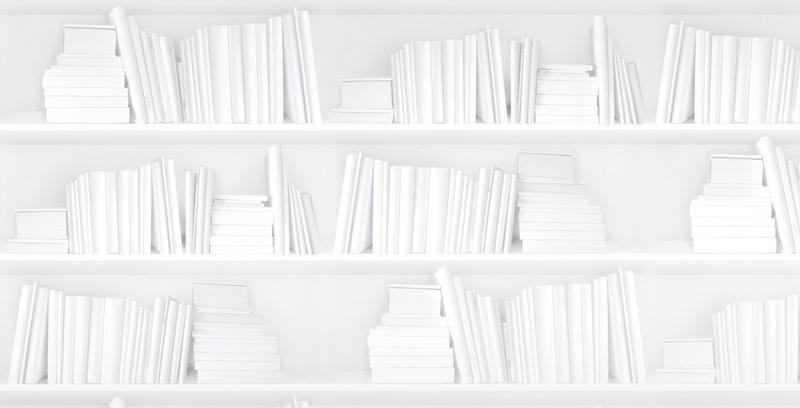 What needs to happen before the word “bestseller” can be put on a book cover? Because BookNet Canada is the source for national and regional bestseller lists in Canada, my coworkers and I get asked this sort of question a lot, often by writers, but also by publishers. So I thought I’d address the issue here on the blog. #1 - How many copies do I have to sell before I can call my book a bestseller? Contrary to what some people believe, a book doesn’t become a bestseller by reaching a certain sales threshold. Bestseller status isn’t based on cumulative or lifetime sales, and there is no set amount a book has to sell to make it a bestseller. It’s more of a competition or race: whoever sells the most copies in a particular time period (usually a week), wins. Depending on the week, it takes a different amount of sales to make it to the top. There are busy weeks and not-so-busy weeks — what can get you to the top in July, for example, may not be enough to rank you in the top 100 around Christmas, when sales are typically much higher. We can’t reveal sales numbers, but to give you a very rough idea: when a book is in the “Top 10,” it’s usually sold several thousand copies across Canada in one week. Sales numbers of category bestsellers (lists restricted to a specific genre, like cooking or mystery) can be lower, though. #2 - So as long as I know I’ve sold more books than other titles I can call my book a bestseller? Well, no. Technically, a book can only be labelled a bestseller when it appears on a published bestseller list. If you’re not on an official bestseller list, then you haven’t been identified as a bestseller. Most major publications (newspapers and sometimes magazines or websites) that have bestseller lists ensure that their bestseller lists are based on comprehensive national (or regional) sales tracking and cite their sources (usually BNC’s SalesData). These sources are invested in publishing factually accurate information, which is why they’re respected by the industry and consumers. #3 - Do all my book’s sales count toward the bestseller list ranking? Almost. The catch here is that the sales have to be reported. SalesData is the service that provides bestseller information to most reputable lists. If the sales aren’t reported by booksellers, then there’s no way to know if the sales actually happened. #4 - If a book is a bestseller, does that mean it sold more than any other book? Not necessarily. Because most bestseller rankings are based on weekly sales, it’s possible for a book to sell really well one week, appear on a published bestseller list, and technically count as a bestseller even if it never sells another copy. Another interesting thing to note is that there are books that sell consistently well, but never quite well enough to make it onto a weekly list. In that case, sometimes a book’s annual sales will earn it a spot on year-end bestseller lists, ahead of titles that ranked above it at some point during the year. Also certain types of books are commonly excluded from appearing on bestseller lists, so they miss out on all the glory even if they’re big sellers. The most common example is dictionaries. Dictionaries sell very well around back-to-school, but reference titles are frequently excluded from bestseller lists. A given publication’s editorial guidelines ultimately determine what is included or cut from their bestseller lists. #5 - If a book has “bestseller” on the cover, does it mean it was on the Globe and Mail bestseller list? 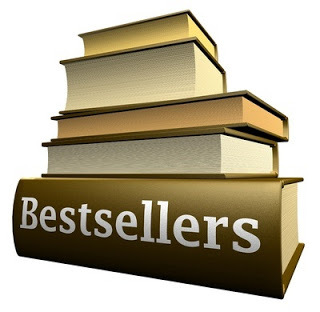 A bestseller claim on a book’s cover can mean it was on one of many different bestseller lists. If the cover refers to a “bestselling author,” it’s usually a previous book by that author that achieved bestseller status. Keep in mind that the Canadian market imports books from just about every English-language market around the world. If the cover wasn’t designed in Canada, the bestseller status may refer to another territory. #6 - Is being a bestseller the only way my book will be considered a success? Hell, no! In a lot of ways, making it onto a bestseller list takes some luck. And one week’s sales performance doesn’t mean the book is considered more successful than others. First of all, other books may sell better over time. And sales aren’t always an indicator of profitability. But there’s also so much more that defines what truly makes a book successful — most importantly, did the book’s intended audience read it and love it? Sales aren’t the be-all and end-all. Reviews, award nominations, educational objectives, and reader satisfaction are all part of what makes a book a success. I hope this clears up a lot of your questions about bestseller lists and bestseller claims on books. The points mentioned above are just guidelines in the end; there may be examples of different interpretations, and there are no “bestseller police” enforcing strict rules. If you have any further questions, please leave them in the comments below and I’ll do my best to find an answer for you. Want to know more about bestsellers and what books are selling in Canada right now? Check out some of our other bestseller blog posts. If you’re concerned that some of your book’s sales are slipping through the cracks, have a conversation with any retailers, event staff and publishers involved. And BookNet is happy to help bring on new retailers of any shape and size — our goal is to make sure every Canadian sale is counted. Sales reporting is free for all retailers and comes with a ton of benefits. Find out more here.